Directed by Zack Snyder, Justice League’s official trailer was shared with fans at the 2016 San Diego Comic-Con held 21-24 July. The trailer shows Batman (Ben Affleck) is out to assemble a team of superheroes who he thinks have the potential to save the world from the evil that lies ahead. He sets out and approaches others including Superman (Henry Cavill), Wonder Woman (Gal Gadot), The Flash (Ezra Miller), Aquaman (Jason Momoa), and Cyborg (Ray Fisher). Although the movie is expected to be in theatres by November, it has created lots of hype and is being considered more promising than its predecessor, Batman vs. Superman: Dawn of Justice. Dawn of Justice already showed fans how Wonder Woman, Batman, and Superman met. 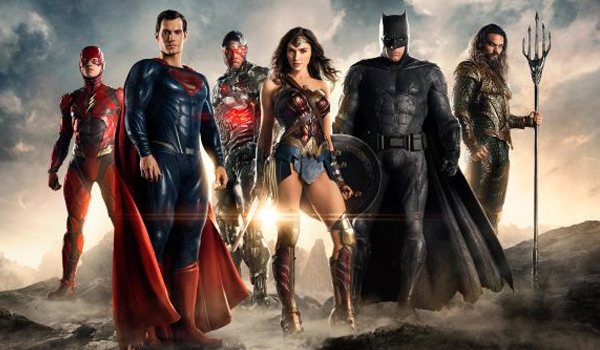 Justice League will show how the other superheroes will be introduced and how Batman approaches them to form the team. Many fans saw a familiar face once again, Jason Momoa famously known as Khal Drogo from the famous Game of Thrones show will be acting as Aquaman. The role of The Flash also gave the audience a good laugh because his role of a geek who says yes to join the league just because he needs friends.